Martorano, known as the “Godfather of Italian American Cooking,” started his career as a D.J. and created his first restaurant with D.J. booths in the kitchen. 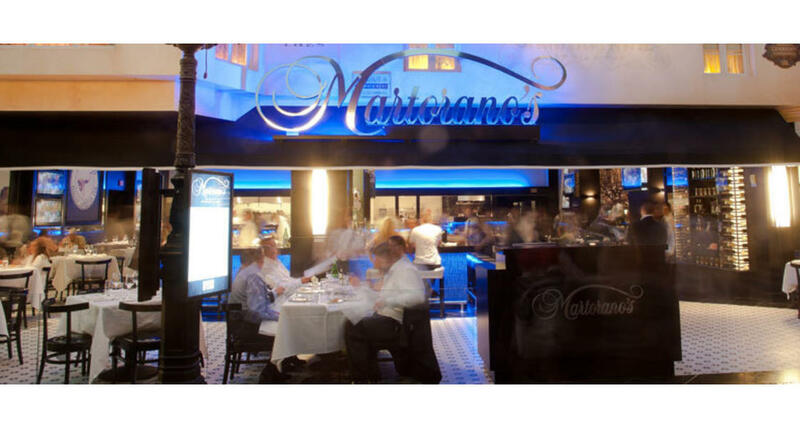 Making his Strip debut with his second Las Vegas location at Paris Las Vegas, Martorano’s features his signature dishes, including Eggplant Stack, “Macaroni” with Rigatoni Sunday Pork Gravy, Bucatini Carbonara, Veal Cutlet Martorano and his Famous Homemade Meatballs. The new location also showcases his one-of-a-kind entertainment offerings with movies and music, making it a truly unique dining experience. Once the clock strikes 9 p.m., the party begins as the restaurant transforms into Martorano’s Supperclub. With the DJ booth and the state-of-the-art sound system pumping out anything from classic R&B, Disco and slow jams, to today’s Top 40 and Hip-Hop, the center of the restaurant quickly turns into a dance floor.